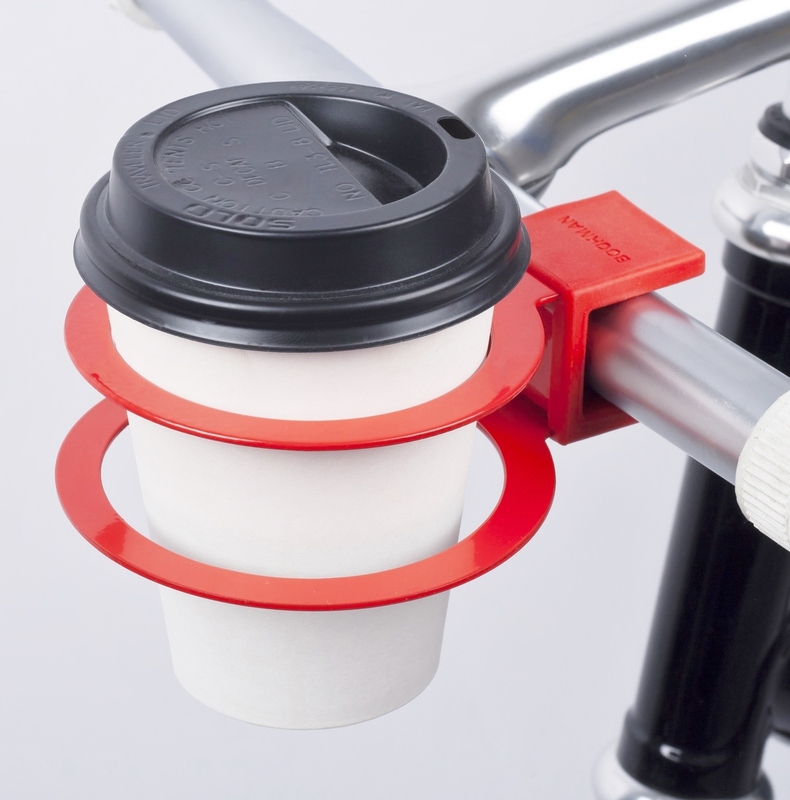 A useful cup holder which is easily attached to a bicycle or buggy thanks to it's clever steel spring construction. Open the spring by pressing the steel rings together, place it on the handlebar and release. The construction is completely free from screws and glue. 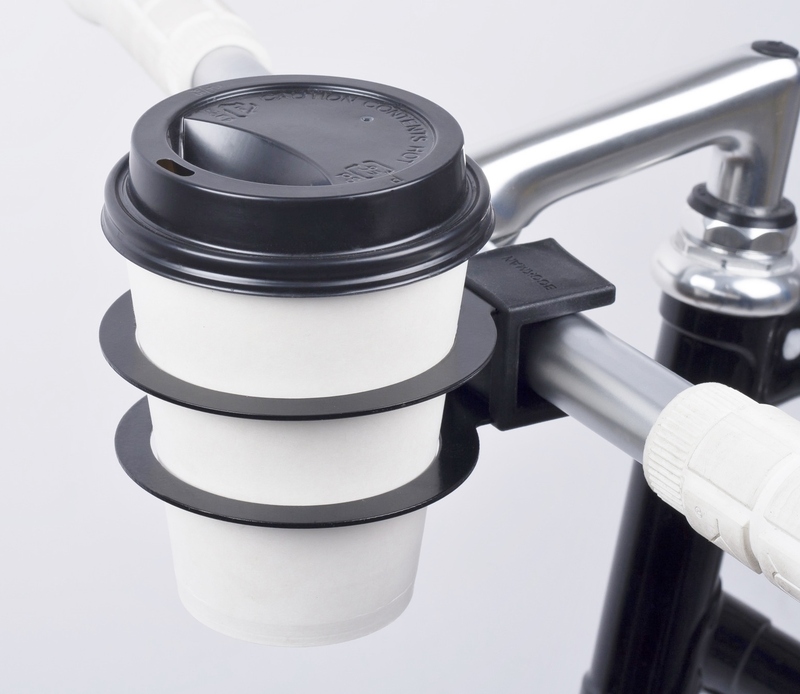 The metal Cup Holder clamps firmly on the handlebars and won't lose grip even during rides over bumps and potholes. The smart design allows it to be flipped and used with either the smaller ring or the larger ring, depending on the cup size. Where can you use the cup holder? An ideal gift for the cycling enthusiast or it can be attached to a baby buggy for coffee/tea when you need it on the go! Enjoy a hot drink when shopping? Affix to your shopping trolley and keep your hands free. Available in a choice of black or red colourways. 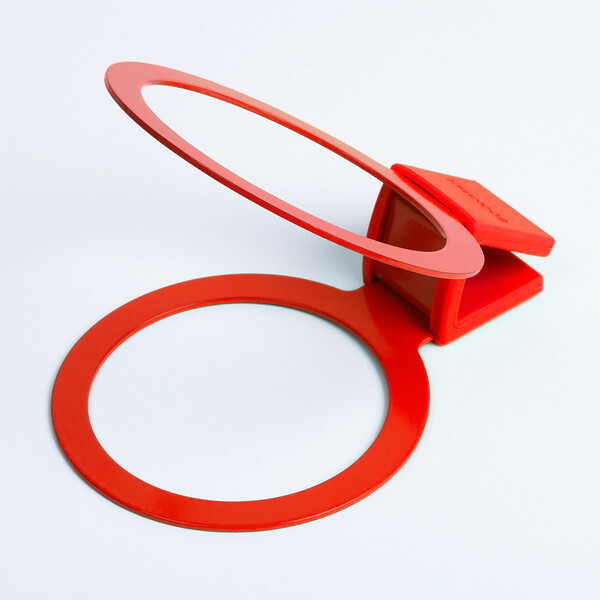 These novel bicycle accessories are the latest addition to our Gift range. They make great gifts for any level of cycling enthusiast, from the weekend family outing to the likes of the Tour De France. See also our Bicycle Accessory Lights.